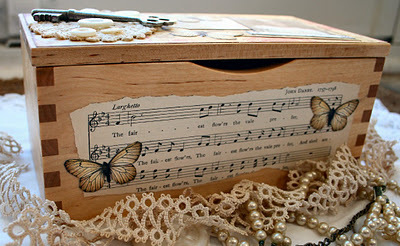 A little altered box using Paper Whimsy images, old music sheets, a vintage skeleton key, lace, and mother of pearl buttons. I collaged the top (lid), interior and the exterior with various images. Still waiting for spring! :) Happy Thursday! Nancy your work is as beautiful as always!! Nancy what a special box for holding life's beautiful treasures. It is almost like a Springtime day in Perth. Of course I am absolutely making the most of this day by doing what ….. sitting inside crafting and catching up with favourite friends' Blogs lol. 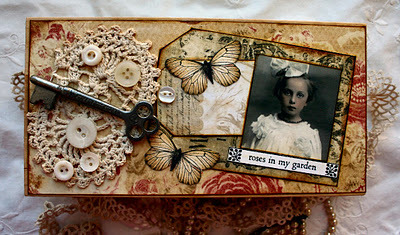 I love altered boxes,Nancy…and this one is just gorgeous. Thanks for your lovely comment on my blog…I would just love to be able to craft with you….everything you make is stunning. Nancy, your altered garden box is amazing. We all are just wanting Spring to arrive! Love this! I wish I could find all the lovely lace and embellishments that you use! Gorgeous, I love those little butterflies. Love this–it's just lovely, Nancy! Great box, dear Nancy! Simply awesome! Love your work. It's always very surprising and unique! And what secrets it could hold! Oh Nancy, your box is awesome! Such terrific embellishments! What a lovely diversion while you wait for the snow to thaw! beautiful box nancy!! Wish it was spring already!! Gosh what a lovely box. Amazing work as always. Love it. Have a lovely weekend my dear Nancy. Isn't it Fun, what we do! You can tell you Love what you are doing by your Art. It shows! Hope the Snow is starting to Melting and Signs of Spring Beginning to Show! I say this with a Laugh when it is 18 degrees outside! Lol! But the Sun is Shining!That was my Pollyanna for the day! 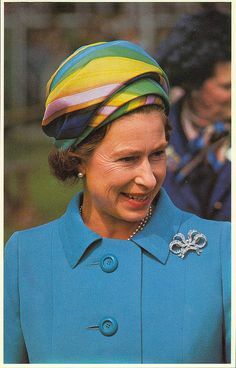 Have a Wonderful Weekend Miss Nancy! 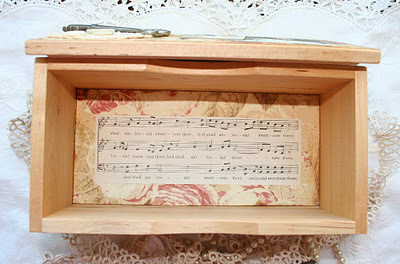 Your boxes are exquisite Nancy, such treasures they are!! Every detail looks so very lovely! I have so enjoyed my visit to your blog this evening, your artwork is absolutely beautiful and inspiring! 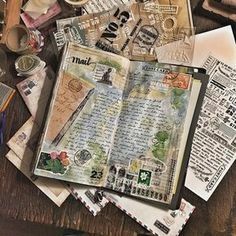 Such a wonderful altered box. Love all the vintage elements on it from the lace to the pearls. Hope you are Doing Well! I was thinking about you today so I stopped by to say Hello! Still sorting through my Studio…I have to many Distractions sometimes!After all Mom is My Full time Job and I only Moonlight as an Artist! Ps Congratulations on Teaching with Artful Gathering! They are so Lucky to have you!I will Looking Forward to your Coarse! What a lovely box you have created! You always create such beauty! Although I know it's only the first of March, it feels like Spring will never get here! I agree, it needs to hurry up. I love the collage box… as always, your work is just outstanding. SO beautiful! 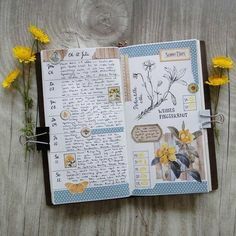 The doilies and key go so well with the images.